It started with a dull coat. Then came sores, weight loss and odd behavior. 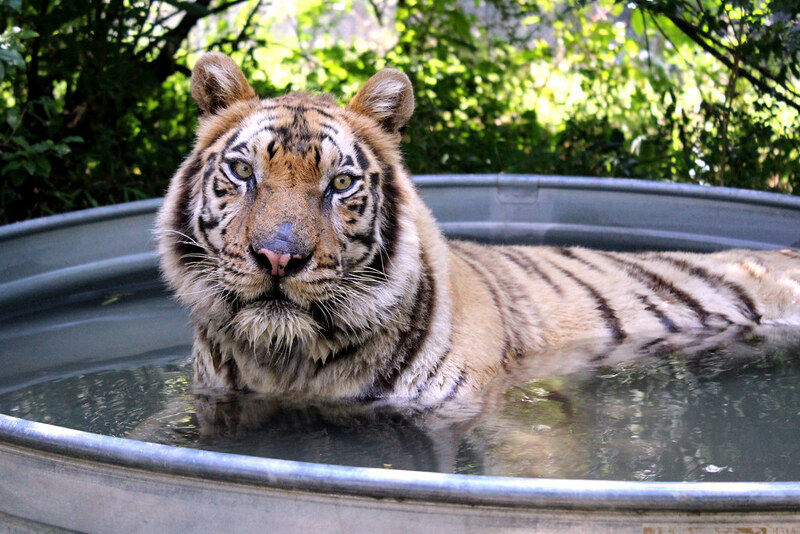 Kaela Tiger had to eventually be separated from her brother Rajah upon Carolina Tiger Rescue keepers realizing that the 13-year-old tiger was sick. In May 2015, Kaela was diagnosed with exocrine pancreatic insufficiency, which meant she wasn’t producing the enzymes required to digest food. In addition to the folic acid and B-12 supplements Kaela was already on, the staff began giving her beef pancreas to break down the food and absorb the nutrients. 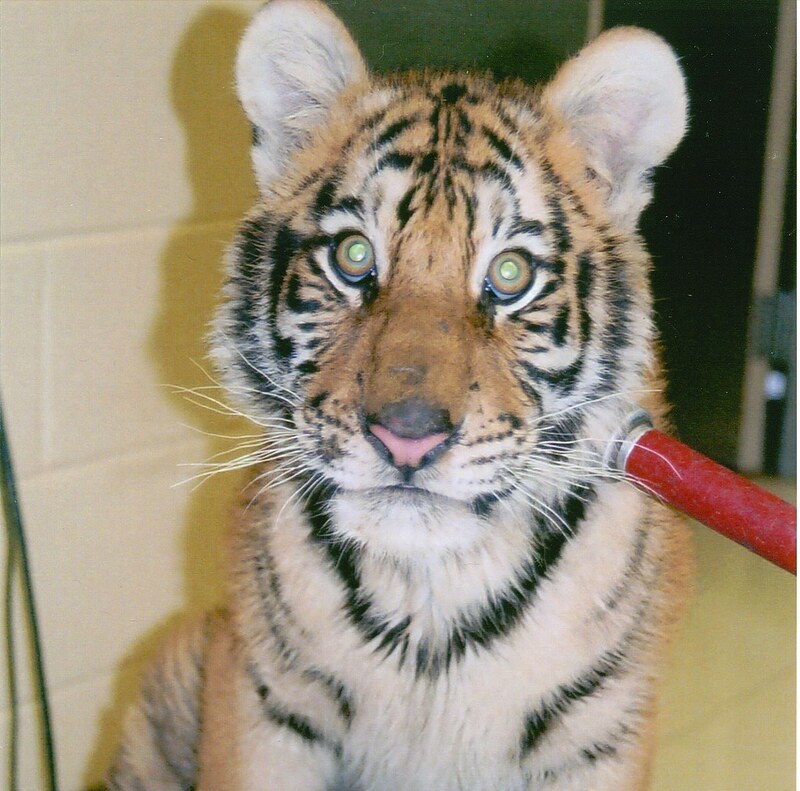 Kaela on Aug. 16 underwent exploratory surgery to collect biopsies of her gastrointestinal tract for a closer look, and Carolina Tiger vet Dr. Angela Lassiter performed the procedure. From the first sedation to the time Kaela woke up took about five hours. 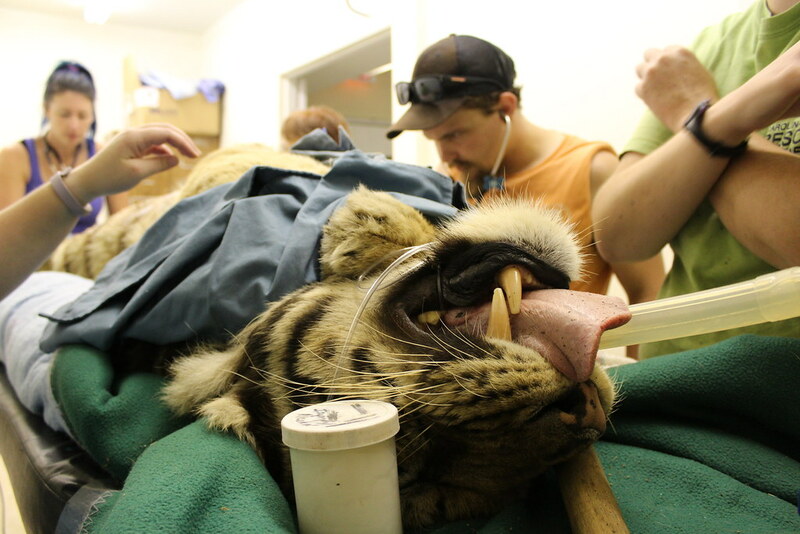 The tiger had blood work done earlier this year, leading the staff to adjust her supplements. 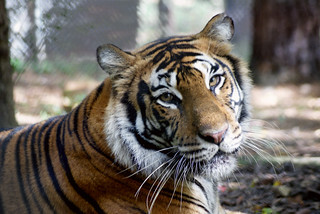 Carolina Tiger keepers expected GI lymphoma, but the results will take a couple of weeks. The surgery, however, did reveal some irregular discoloration on areas of her intestines. EPI is an illness they’d seen before. Kaela is smart tiger who is very food-motivated. She is beloved around the sanctuary because her rescue reversed an eight-year drought. She arrived in January 2005 after being found on the side of a rural road near Charlotte; she was 6 months old. Though Kaela’s roots are unknown, Kaela’s story is a direct result of the lack of legislation: North Carolina is one of five states where it is legal to own non-native species. In North Carolina, it is legal to own a lion, tiger or other wild cats, making them too easily-obtainable. People who get them as pets later realize it isn’t a good idea. The staff, volunteers and other members of the Carolina Tiger community hope the procedure will offer the answers they’ve sought for months and wishes Kaela a speedy recovery!